I have found myself once again giving up on a YA book because something about it just didn't sit right with me. I ponder and ponder every time this happens, which, sadly, is getting oftener and oftener. I've talked about this before, in bits and pieces here on my blog and on Facebook, and in a more cohesive structure in a guest post on Jeff Chapman's blog. The post on Jeff's blog really breaks things up into components, like dialog, slang, and voice, but I was thinking today about the thread that ties those components together. The thing that makes YA...well, YA. There are a lot of YA books out there that sound different from each other. Vastly different. Some are snarky, some more serious, some downright dark. 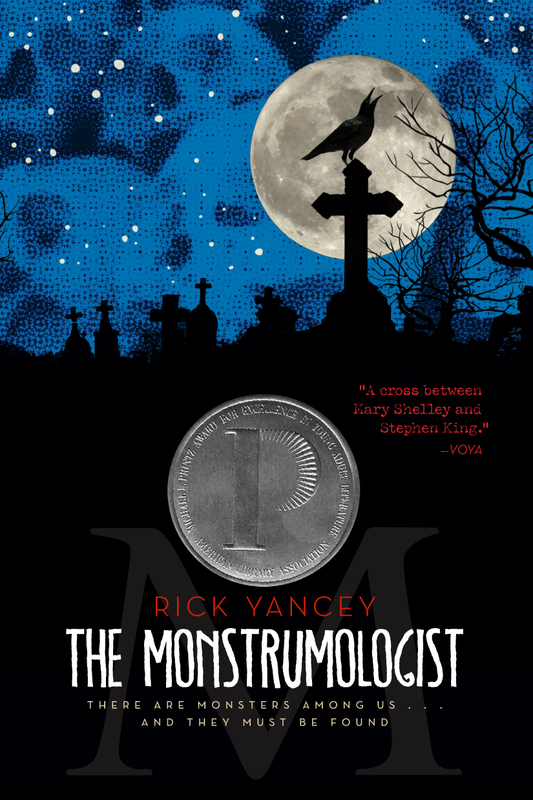 One of my all-time favorites is The Monstrumologist, which started a great discussion about what defines YA over on Mike Duran's blog (after he finally caved to my pummeling suggestion that he read it). The Monstrumologist is gory, dark, and written with a period flair. One of the most beautifully written books I've ever read, as a matter of fact. Yes, YA books can be beautifully written. Or they can be simply written. What makes them teen books, though, is not reading or vocabulary level. It's not innocence necessarily either. It's the viewpoint the main character is coming from--it's how they process their surroundings as someone who has lived to their teen years, and only to their teen years so far. This is not directly related to life experience either. In The Monstrumologist, Will Henry has probably seen more and scarier things than most adults could even imagine. But even with his life experience and the beautiful prose, you never once lose sense that the story is being told by a teen. A teen from a different time period, a teen who has never seen an iPad or a cell phone, who's never had a girlfriend or anything we'd expect of "normal" teens. Yet he is a teen, and he tells the story of being a monster hunter's assistant in a way that reflects him processing his particular experience the way a teen would process it. That, to me, is what makes a novel YA. The book I just gave up on? It read as if an adult were writing the story. Of course, it was written by an adult. Not a particularly old adult either. This author's bio says the story was based on a personal experience. Another book I tried to read not long ago did the same thing--and it is what inspired me to include certain points in my post on Jeff's blog, to be honest. What didn't work in both these stories is that they read as if being written by someone who is processing the experience from the other side of the event, someone who now has the life experience to look back and see the story differently than a teen would. Think about listening to your parents or your grandparents talk about things they did when they were younger. There is a feeling of reminiscence, and even if they aren't glossing over things or interjecting any claims that they "shouldn't have" done this or that, there is still a feeling that their life since the event has affected the way they remember it. They see it from a different angle now. To write effective YA, you have to step into a situation and see it the way a teen would see it. If it were an event from your real life, you'd need to strip away all the changes in you that have happened since that moment. It can be hard--and harder for some people than others. My son is twelve now. We've had some interesting discussions. Okay, almost-arguments. He wants something, but I know better, because I'm older, because I've learned since I was his age. What the YA authors that miss the mark do is to just tell a story about things that happen to teens rather than telling things that happen--from the viewpoint of a teen. They get the facts and situations right, but tell them in the way someone looking back on it would tell it. They may strip away their vocabulary, or the grit of real life, or any number of things in hopes of making a story that appeals to teens, but they're not getting rid of the right things they've accumulated "since then." It's not about sounding young or acting like everything is the first time. A teen could have done something--anything--a thousand times, have complete knowledge and understanding of it, but it doesn't suddenly make their brains operate like adult brains. Truthfully, this is one of those nebulous "I know it when I see it" things. Or know it when I feel it. Because that's what it is to me, a feel. A sense I get when I am reading. A connection at a level inside me that coincides with exactly where I was at the character's age. A stripping away of my "since then" when I read. What do you think? Is this what you get from teen novels? And if you write them, is this what you do? You'd know better than I would. I'm still dipping a toe in the genre, and discovering that I still prefer MG. Too much YA is all about sexual tension to the exclusion of the adventure I thought I was picking up. I agree--it's the perspective. It doesn't mean the book has to be dumbed down at all. I don't write YA, but one of my books has a teenage heroine, and one of my CPs kept telling me crap like "teens don't read poetry" or "teens don't think about philosophy", and I found myself getting very annoyed and defensive with him: "Well, I did!" Perhaps my perspective was off. I don't know, but I know I won't write teens off as complete idiots. Kessie, I think this applies to MG, too. It's about writing from the perspective of a younger kid in that case, though. I agree, MG is all about the adventure! And YA can be too romance-y. Not all of it is, though. Jill, teens don't just read poetry they write it. And they totally talk philosophy. The difference is, they read, write, and talk with a teen perspective. It always bothers me when people talk about writing as if you have to dumb it down for teens. Do these people think *they* were dumb when *they* were teens? Wow! Since I'm new to your site and am writing YA (or maybe it's MG)this made me reflect on what I have done. Hopefully, (and I mean....hopefully)I will have integrated an appropriate viewpoint! Here's hoping!